Kathryn Starke is an urban literacy specialist, reading consultant, author, and the founder of Creative Minds Publications, LLC, a global literacy based educational company. She has been featured on multiple media platforms including Fox Small Business News, Inspire Me Today, Virginia This Morning, and Conversations Live. Kathryn has served as a literacy trainer for the University of Chicago Urban Education Institute and VCU AmeriCorps program. Kathryn was on the executive board for the Richmond Area Reading Council and governing board for the Virginia State Reading Association. She currently serves on the board of Reach Out and Read Virginia. She previously served on the Chris Baker 92 Foundation, and is the children’s author and literacy advocate for the Washington Redskins Charitable Foundation reading program. She served as a panelist on educational forums for University of Richmond and Virginia Commonwealth University and was the keynote speaker for the PBS Kids Writing Contest Awards Ceremony. In addition, she leads an annual children’s writing workshop sponsored by the Library of Virginia Foundation. A native of Richmond Virginia, Kathryn graduated from Longwood University with a BS degree in elementary education and a Master's degree in Literacy and Culture. She has taught first, second, and third grade and served as a literacy specialist for over a decade in inner city/Title I schools in Richmond Public Schools and Chesterfield County Public Schools in Richmond, Virginia. She is the author of Amy’s Travels, a multicultural children’s book used in schools on over twenty countries on six continents. The book was recently turned into a musical by the Latin Ballet of Virginia. She is a freelance educational writer for a variety of magazines including Education Digest, Parent and Child, and Literacy Daily, the publication of International Literacy Association. 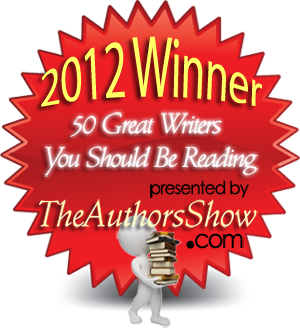 Kathryn was named one of the 50 Great Writers You Should be Reading by The Author’s Show. She has provided in depth literacy consulting in over 80 schools, has presented at both state and national reading conferences, and has served as a consultant in some of the top 100 largest school districts in the country, working primarily in 5 states (Virginia, California, New York, Massachusetts, and South Carolina). Starke began her educational career in her home state of Virginia, which ranks in the top 10% in US public education. Visit https://www.teacherspayteachers.com/Store/Kathryn-Starke to download reading resources for your children or elementary school classroom. Visit http://kathrynstarke.wordpress.com/ to see all of Kathryn's books, calendar, and appearances. Children's author, Kathryn Starke, will introduce the story of Amy's Travels and/or read Amy's Travels. She is available to sell and sign personalized copies of Amy's Travels at every event. Kathryn is available for private reading/writing tutoring for elementary school children. Kathryn will evaluate your child to determine his or her instructional level and provide lessons that will greatly increase your child's reading level. In addition to the tutoring, Kathryn believes in coaching parents to give them the best strategies to support their child's reading growth and development. Call for pricing.